"Here is a little bit about me--the face behind The Quilt, Unravelled. I am older than I would like to admit and have a full and wonderful life. For a start I live in New Zealand, a country known for its diversity and beauty. My time is shared with an engineering partner and two “almost adult” children. Therefore I probably fall in to the category of an empty nester. Although for me to qualify, they would have had to leave home! Home is a rustic converted shearing shed nestled on the edge of a pine forest only a short drive from Auckland City. My children fondly refer to me as a crazy cat lady, and I wear the term well. I enjoy the horses on or property, historic and exotic vehicles, fishing, travel, reading, writing, good wine, good food and good friends." The Writers’ Lens is about "Bringing fiction into focus." What brings your writing into focus-- the characters, the stories, the love of words? The characters, if realistic, create the story. The words paint the pictures and give the characters a canvas. What do you think readers will like about your book? The Quilt, Unravelled is a journey with several different threads. I personally do not like, and would not be able to write a candyfloss novel, the type of book that is sweet for a few pages, predictable from the first couple of paragraphs, takes a day to read and when it is read you are left unchanged and unmoved. The story is based in the dramatic New Zealand high country and as it progresses the reader is taken to the picturesque seascape of Auckland’s Waiheke Island. Through its words the reader will experience a little of New Zealand life, its violent past, the pioneering spirit that lives within the people, the rich farming life and the smells and scenery that make my country unique. This story will appeal to a wide cross-section of readers. It follows a family seeking closure, in essence The Quilt, Unravelled is a saga but it is also a tangled romance born through tragedy. How much fact is in your fiction? Although The Quilt, Unravelled is a story of fiction the practical and historic details are factual. The locations do exist and the later part of the novel is set on Waiheke Island, which is situated within a few minutes of my actual residence. What makes your book/characters unique? Each of the characters in The Quilt, Unravelled is a very unique and believable individual. Throughout their life journeys I have wanted the reader to relate to them, to feel their struggles, be sympathetic to their flaws and consider the consequences of their decisions. What's the highest compliment someone could make about your writing? Several reviewers have written that they have been moved to tears at one of the pivotal points of the book, after experiencing the loss of one of my characters, that the characters are believable and that the story has stayed with them after the book was finished. While a story is a form of escapism created essentially to provide entertainment and to remove the reader from their everyday life, I believe an author is complimented if they can invoke strong emotion, if they can fully engage the reader and if the story leaves an impression. “Being with a friend that listens and doesn’t answer back”. “When home needs to be more than the four walls you live within”. If you could meet one of your characters, who would it be and where would you meet? There are two main characters both of whom I would like to meet. However if restricted to one it would have to be Joanne Kyle. This articulate young woman evolves emotionally throughout the story. She is introduced as a driven and detached person who is restricted by the constraints of her upbringing. Tragedy forces her to question her priorities but throughout her journey she is shown to be a fiercely loyal friend, who is capable of sacrificing her own happiness to support those who she loves. My inspiration for Joanne came from a friend who I lost far too early. Sipping a quality red wine on one of the many Waiheke Island vineyards would be the ideal location to meet. THE QUILT, UNRAVELLED: Joanne Kyle watched the image of a naked man waving with one hand while struggling to keep a towel in place with the other. It would have been amusing had it not been her fiancé who was fading from sight in her rear-view mirror. For successful lawyer Joanne, today marks the start of her life being turned upside down. Paul Clarke has planned his future and it does not include iconic high country station Twin Pines, or his self-absorbed and unpredictable girlfriend, Leslie. But Leslie has no intention of letting Paul leave, and she will stop at nothing to keep him in the King Country. A heart-breaking tragedy brings Joanne and Paul together on the beach-fringed island of Waiheke. Joanne will soon face the biggest decision of her life. Rebuild her career, or change the course of her life and take another chance on love. What unfolds is a moving story of friendship and sacrifice. 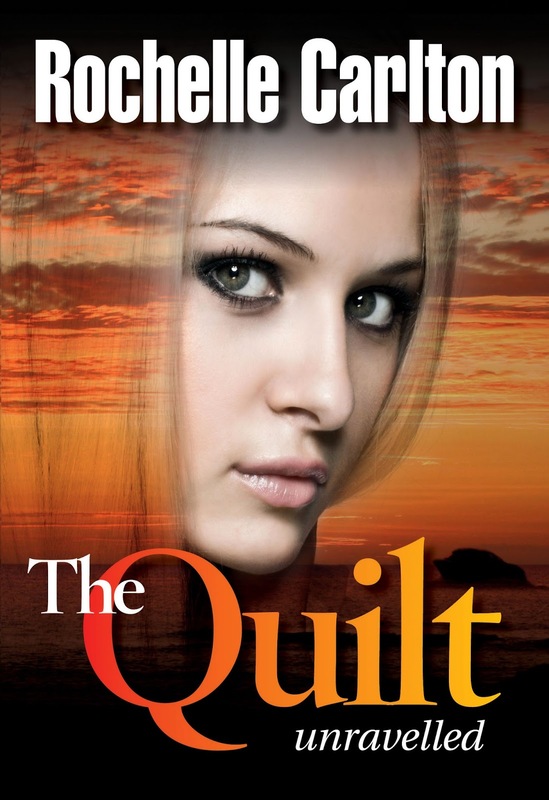 The Quilt is a dramatic New Zealand saga about a family struggling to find closure after a mysterious disappearance, and healing after heartbreak. This story will stay with the reader long after the last page is turned.